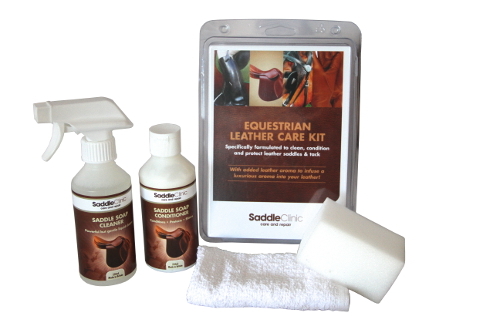 The Saddle Clinic Equestrian Leather Care Kit contains all you need to be able to clean, condition and protect leather saddles and tack. The products contain an added leather aroma to infuse a luxurious scent into your leather. The kit contains both Saddle Soap and Conditioner. There are currently no questions for Saddle Clinic Equestrian Leather Care Kit - be the first to ask one!